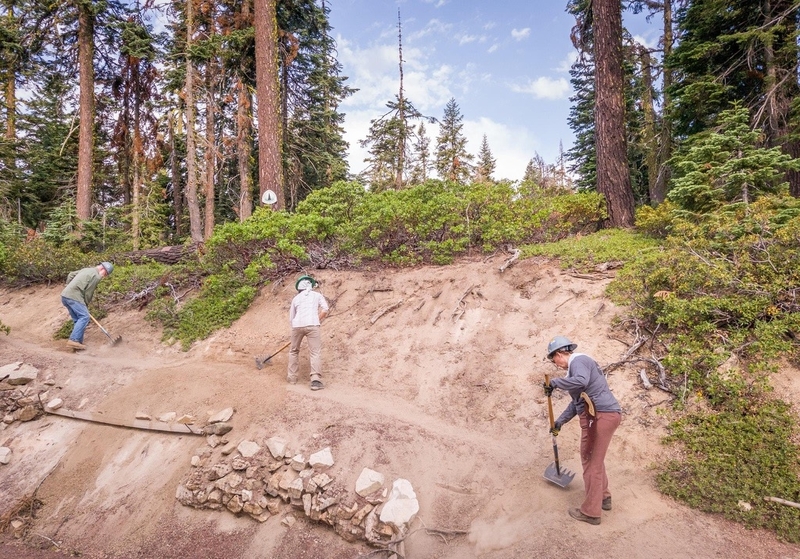 Each year, PCTA volunteers put in more than 90,000 hours maintaining the trail. 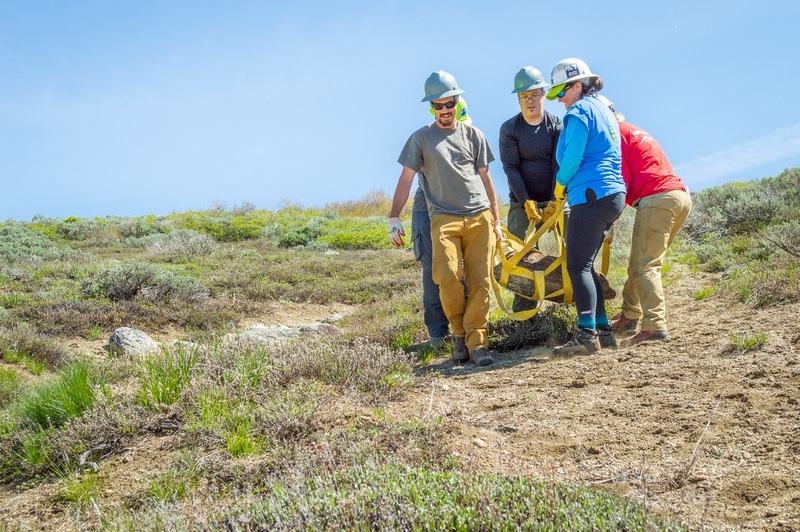 Summer is the height of the volunteer season, so day, weekend, and even week-long projects deep in the backcountry are in full-swing. Here are some of the stories from the trail we’ve heard so far this summer. 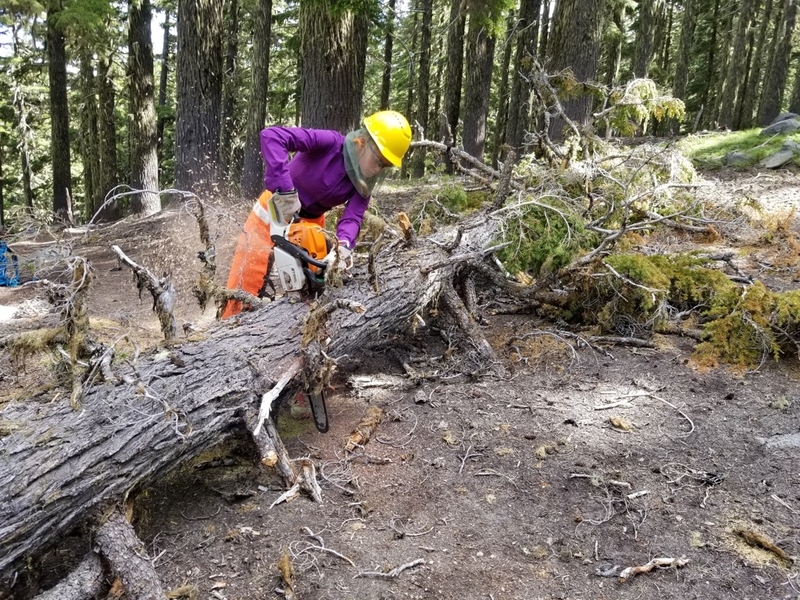 In the Plumas National Forest in Northern California, a volunteer from PCTA’s Pounders Promise prepares to clear a downed log from the trail. 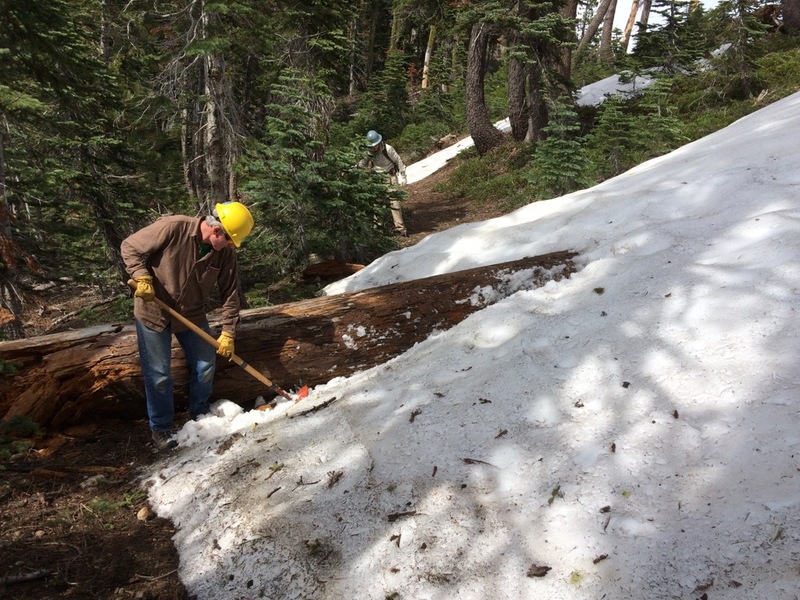 Volunteers often begin clearing the trail before the snow has completely melted. This helpful crew from PCTA’s Mid-Oregon Volunteers assists in fire restoration work just south of McKenzie Pass. 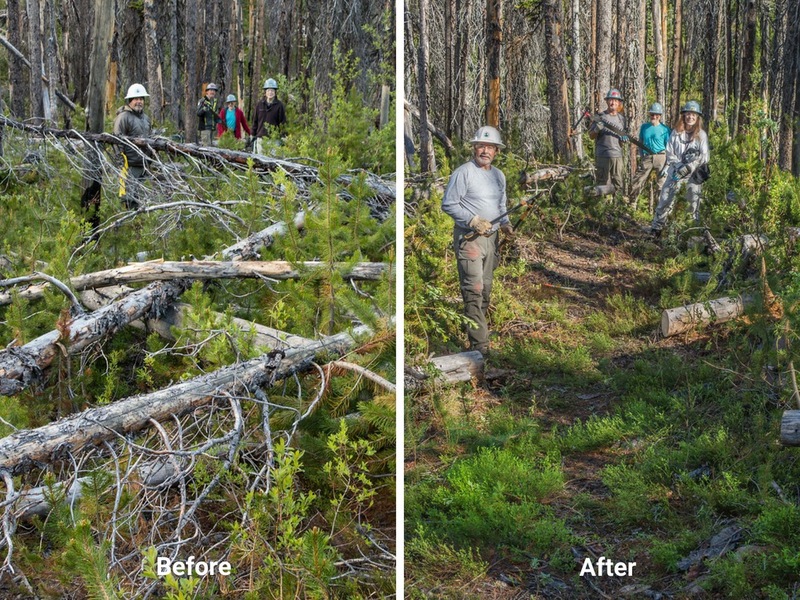 In non-wilderness areas, Mid-Oregon Volunteers love to use their power saws! Volunteers said they met 6 PCT thru-hikers along an 11 mile stretch of trail they cleared! 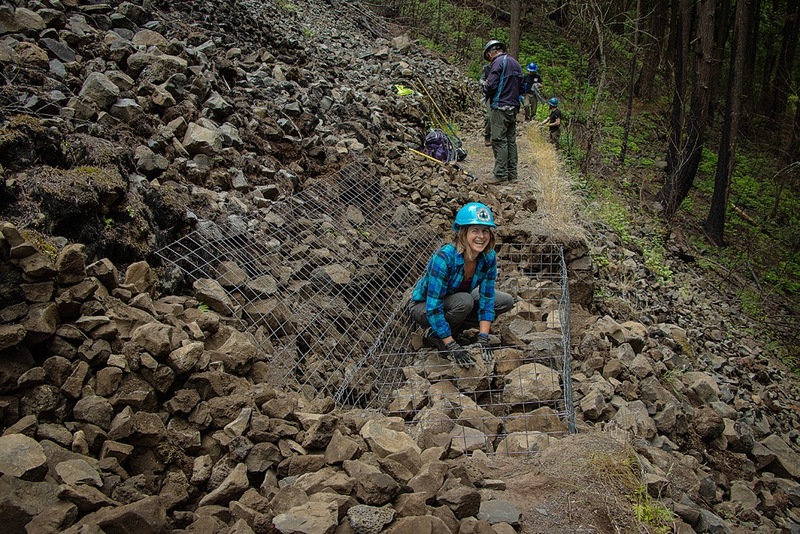 Volunteers with PCTA’s Mount Hood Chapter fill a gabion to strengthen the trail in the Eagle Creek burn area. The PCTA’s Southern Oregon Rockers lives up to their name. They’re practicing moving heavy rocks safely in a class taught by two of the PCTA’s Technical Advisors. Photo by Mick Mc Bride. 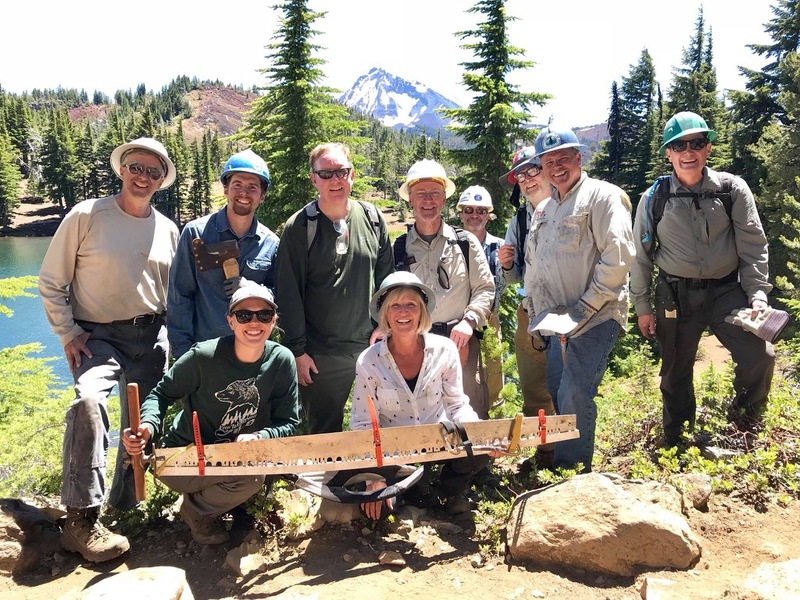 Volunteers with the PCTA’s Southern Oregon Rockers help repair the trail on under blue skies on Mt. Ashland. Later that day, they were turned away by lightning and the smell of smoke. Safety first! Photo by Mick Mc Bride. Happy Fourth of July! 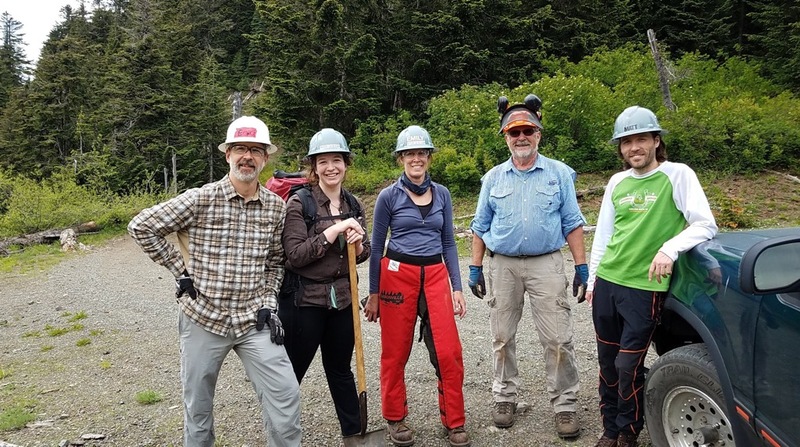 This crew of volunteers from the PCTA’s North 350 blades heads out to remove 26 logs from a 3 mile stretch of trail in Washington. 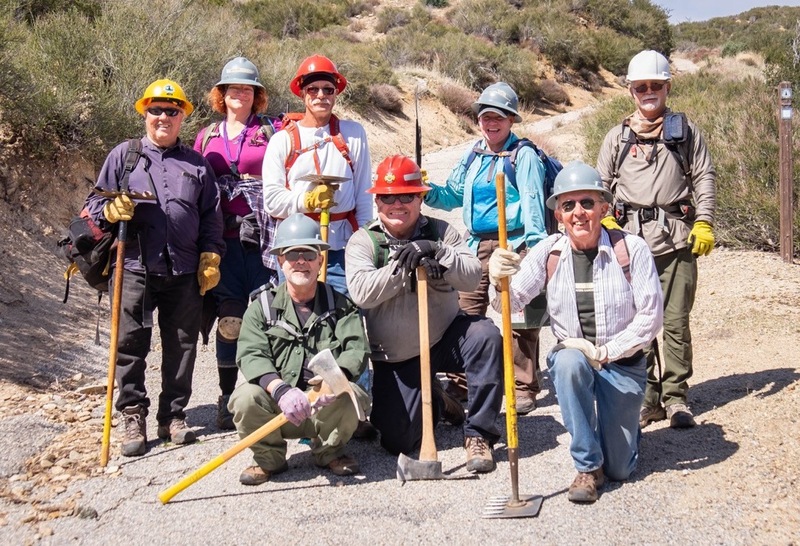 Volunteers with the PCTA’s North 350 Blades clear a long-neglected feeder trail. It’s amazing what a difference YOU can make! Even in sunny Southern California, the PCTA’s Trail Gorillas put sweat equity into the trail! Photo by Peter Thornton. Thank you to the volunteers who have contributed thousands of hours so far this year! Are you interested in joining them? Visit pcta.org/volunteer to learn more!